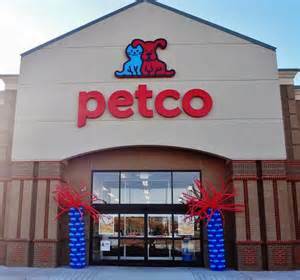 What Does PETCO and Pastoring Have in Common? I am not what some would call an animal lover. At the moment, I don’t have any domestic pets. But if I did, there are two standard rules I live by: 1. I do not allow them to sleep in my bed, and 2. When it comes to licking, my face is off-limits. But I do like them. My father and mother had two dogs during my adolescent years. Both were Cocker Spaniels. They were great family dogs. And my wife and I had a Toy Rat Terrier in the early years of our marriage. Now that we have a child the thought of getting another one has come up in conversation a few times. Because of this I have begun to pay a little more attention again to anything related to pets. When I heard that tagline, the preacher in me took note. I said to myself, “There is an illustration in that.” As I began thinking about it, I immediately saw a connection between that PETCO commercial and our calling as pastors. The Bible depicts us elders as being shepherds and the church as being sheep or a flock (Acts 20:28-30). As the Apostle Peter writes, we are called to “shepherd the flock of God that is among you, exercising oversight, not under compulsion, but willing, as God would have you; not for shameful gain, but eagerly, not domineering over those in your charge, but being examples to the flock.” (1 Peter 5:2-3). But in teaching the word, we must commit to rightly handling it (2 Timothy 2:15). I have been in ministry long enough to know that everyone who is teaching the Bible ain’t teaching the Bible. It is important that we prayerfully strive to rightly interpret the word, or cut it straight. Our desire should be “to give instruction in sound doctrine.” (Titus 1:9) That word “sound” means healthy. Take note, brothers: healthy doctrine produces healthy disciples. So let’s, by God’s grace, feed them the pure, unadulterated word of God. What we feed them does indeed matter.